If you’re dealing with bed bugs, you’re probably looking into your options to remove them. One of these options is tea tree oil. You might be wondering whether it works and what else you can do when you have bed bugs. Let’s take a look at how tea tree oil fights bed bugs. 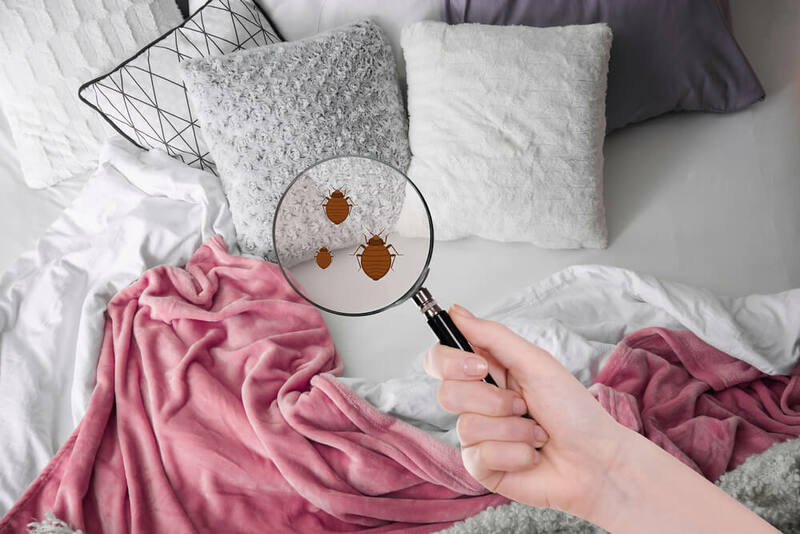 Milwaukee Pest Control Pros, which does pest control in Milwaukee, has also shared some information on what to do when you notice a bed bug infestation so you can address the problem quickly. Does Tea Tree Oil Fight Bed Bugs? Tea tree oil works to keep bed bugs away. Unfortunately, it has to be diluted for it to be safe for humans. This can then weaken the effect it has on bed bugs. Still, it’s worth a try! Tea tree oil can be used to keep bed bugs away. It’s a good idea to use it as a precaution, but it can be used if you already have bed bugs as well. You should use tea tree oil when you’re traveling. You can spray it around the bed. You can also spray your luggage with a tea tree oil mixture to make sure you don’t bring any bugs home with you. Simply mix about 10 drops of tea tree oil into a quarter cup of water. Pour the mixture into a spray bottle. Once you have this spray bottle made, you can spray it wherever you want to. If you want to keep the bed bugs away from your body, you can make another blend. To do this, add about 10 drops of tea tree oil to a quarter cup of jojoba or almond oil. Then you can apply it to your skin. What Other Essential Oils Can You Use? You can mix these in a spray bottle just like the tea tree oil. Does Baby Powder, Talcum Powder, or Baking Soda Work? It is believed that these powders will get rid of bed bugs. In reality, that isn’t true. They might have a small impact, but they aren’t worth it. There are other ways to get rid of bed bugs. According to Bed Bug Supply, you would need to combine baking soda with other home remedies to see a difference. It’s just a better idea to call pest control? What Should You Do When You Notice Bed Bugs? When you first spot the bed bugs, you should give the exterminator a call. See how soon you can get them out to your house to get the problem taken care of. When you call, you can ask if there’s anything you should do ahead of time. If you notice that you have bed bugs, you should wash your clothing and bedding in hot water. Then, after the clothing and bedding are dry, you should keep them in the dryer on a high setting. Transfer your clean laundry into sealed plastic bags. You should be cautious with the bed bugs. Make sure you don’t have house guests while you have bed bugs. You should also check and see if you are taking any bed bugs with you when you leave. If you are experiencing bites and itching, you can use an anti-itch cream. You might need to go to the doctor to get a stronger medication if that doesn’t work. Bed bugs are pretty serious. You shouldn’t let them stick around for too long before calling an exterminator. It’s good to try home remedies while you wait to hear back from pest control. If you notice the number of bed bugs increasing, be sure to call pest control as soon as possible. Bed bugs spread quickly and need to be addressed by a professional immediately. How Can You Prevent Bed Bugs? There are a few different ways that you can keep bed bugs away. First, you should make sure that you’re replacing your mattress and your box spring every few years. Next, you should use protective coverings. You can buy plastic mattress encasements that will help you notice bed bugs. Finally, you should make sure that you’re vacuuming regularly. If your home is clean, you won’t have too much to worry about. According to WikiHow, you should empty your vacuum cleaner to make sure the bugs don’t get out in case you do vacuum them up. When it comes to bed bugs, you don’t want to mess around. It’s smart to call an exterminator right from the start to make sure the problem gets taken care of properly. You can use these home remedies to prevent a bed bug infestation from the start. It’s always a good idea to leave serious issues to the professionals!